SBI Online Saving Account – How to Open SBI Saving Account Online? 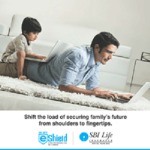 SBI Online Saving Account – दोस्तों, जब से इंटरनेट की दुनिया का तेजी से बिस्तार हुआ है तब से सारे दुनिया में अधिकतर काम ऑनलाइन होने लगे है। आज हम सभी ऑनलाइन घर बैठे अपने कई काम कर लेते है मसलन बिजली का बिल पे करना , पालिसी जमा करना , ऑनलाइन रिचार्ज , बिल की पेमेंट, ऑनलाइन शॉपिंग , टिकट बुकिंग, सिनेमा का टिकट जैसे न जाने कितने काम है तो आजकल ऑनलाइन होते है। हम घर बैठे इन कामों के बहुत ही आसानी से करते है। उसी तरह से हम बैंकों के सारे काम जैसे बैलेंस चेक करना , इंटरनेट बैंकिंग , mobile banking jaise काम ऑनलाइन होता है। ऐसे ही हम state bank of India में घर बैठे ऑनलाइन सेविंग अकाउंट open कर sakte है। स्टेट बैंक ऑफ़ इंडिया भारत का सबसे बड़ा सार्वजनिक बैंक है , अगर आप इस बैंक में अपना ऑनलाइन सेविंग अकाउंट ओपन करना चाहते है तो इस पोस्ट्स को ठीक ढंग से पढ़ें और अपना अकाउंट अपने आप से ओपन करें। state Bank of India me online saving account Kaise open karte hai. 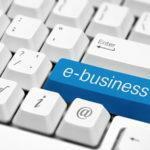 Step – 2 phir ” Apply Now ” pe press kare. Customer type : Public, minor, Senior citizen or staff ka option hoga jisme se public select Kare. Resident Status : Isme ” Resident Individual ” select kare. Submit par click karte hi aapko ek Pop-up window open hoga OK Kare ab TCRN ( Temporary Customer Reference Number ) dikhayi dega wo aapke mobile number pe bhi bhej diya jayega ab ” Save and Proceed ” pe click kare. 1. 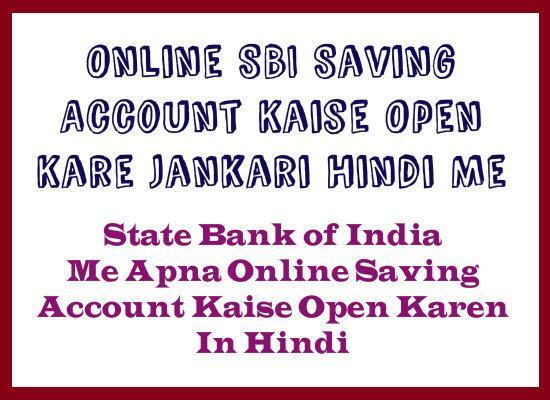 Onlinesbi.com par visit kare waha Apply SB account>> for resident individuals>> Regular SB Account me jaye. 2. Form ko download Kare, Home page me right side me ” Download Completed Application ” likha hoga uspe click kare. 3. Ek form open hoga jise aapko fill karna hai. Please Enter sole / first applicant TARN : Aapko Jo TARN number mila tha use enter kare. Please Enter sole / first applicant Date of Birth : Apni date of birth enter kare. Please Enter the text as shown above : Form me Upper Jo characters show ho rahe hai unhe enter kare. 2. Sabhi documents or form thik se dekhne ke Baad आपका फॉर्म accept kar liya jayega. अब आपको अपना bank account number 7-10 Days me मिल जायेगा or Cheque book or ATM/ Debit card 20-30 days के अंदर receive hoga. SBI Online Saving Account, how to open sbi account online, sbi online account open in hindi, sbi account in hindi, how to open sbi saving account in hindi, sbi online account open in hindi, state bank of india online account open details in hindi, sbi account details in hindi..